The lodge has 3 levels. Main floor has open lounge with a stone fireplace, dining area, up-to-date serviced kitchen and a leader's room. Lower level has individual rooms with bunk beds that can sleep 28 people and a small meeting room. Upper loft has 3 areas that sleep 12 to 18. Central heating, 3 flush toilets, 2 showers, and can accommodate up to 50 people. Kitchen has modern appliances with coffee pots & microwave. There are dishes, cutlery & pots and pans. Large fridge and small freezer. Accomodates 20 to 25. Rustic log cabin (24 x 24 ) open concept structure. Main floor has kitchen, dining area and leisure area. Upper loft for sleeping. No bunks so come self-contained. Basement has open area and a 2-piece bathroom. Kitchen has modern appliances with coffee pot & microwave. 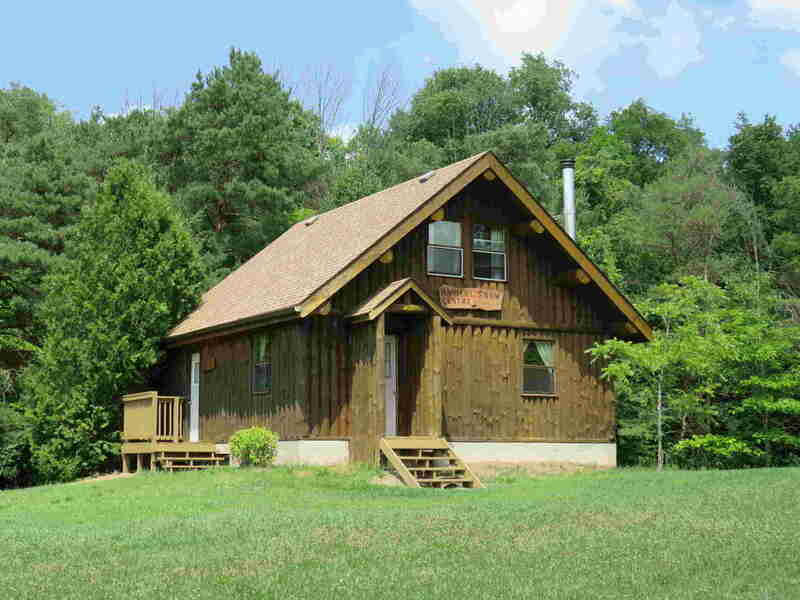 Cabin is heated and also has a wood burning stove. There are dishes, cutlery & pots and pans. Accommodates 10 to 15. Open concept chalet (former Ranger’s residence). Main floor has kitchen, dining area, sleeping room, 3 pc bath and leisure area. Upper lounge loft and sleeping room with ensuite bath & shower. No bunks so come prepared. Basement has open area ideal for training & games. Kitchen has modern appliances with coffee pots & microwave. 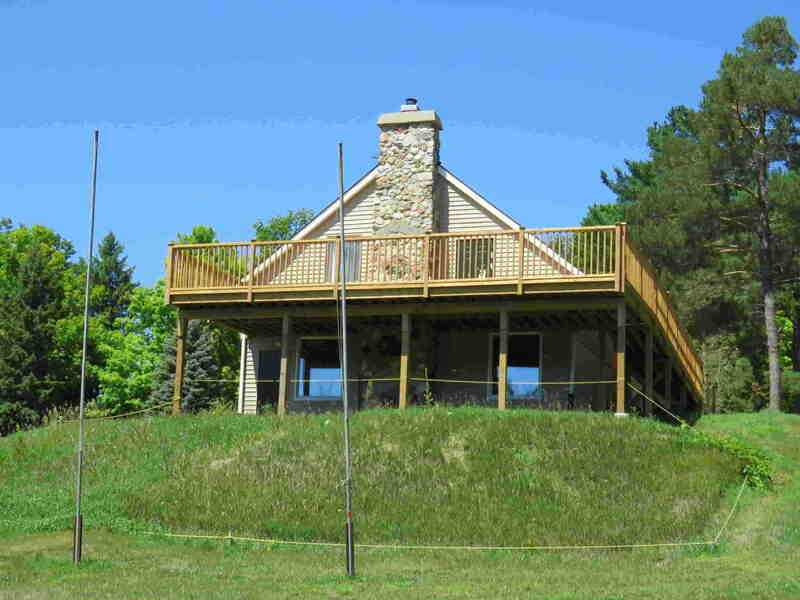 Cabin is heated and also has a wood burning stove & fireplace. There are dishes, cutlery, pots and pans, & elec. crock pot. 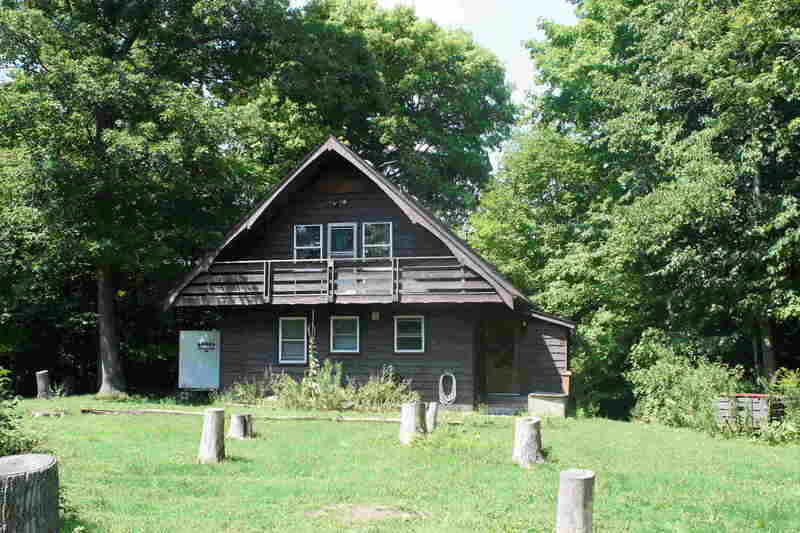 Ideal cottage facility for a Scouting Family - weeklong summer rentals available June through September. *Program materials avaliable only to members of Scouts Canada - Low Ropes, Bouldering wall and team building elements.